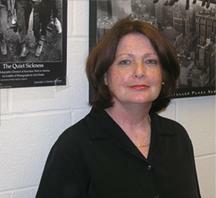 I am the Director of the Occupational and Environmental Health Nursing Program. This program is part of the NIOSH sponsored Education and Research Center. I am a Principal Investigator on the Department of Energy (DOE) funded Medical Screening Program for Former Workers from Sandia National Laboratories in New Mexico. I am a Co-Investigator on a joint DOE sponsored Medical Screening Program for Former Workers from Los Alamos National Laboratory also in NM. These two programs offer free medical examinations to former workers from nuclear weapons defense facilities to determine if they have occupational illnesses related to past exposures during their employment at these facilities. I teach a course in the first term online titled "Fundamentals of Occupational Health." It is an introductory course in Occupational Health and Safety and is open to students who are not Occupational Health Professionals but are interested in Occupational Health. My areas of research interest include the workplace, and workers, the workplace and its effect on the environment, the environment, adverse health effects related to air pollution, thyroid effects from radiation and chemicals, and the health of former workers from the nuclear weapons industry. Below are the publications that I have chosen for your review. Stefaniak AB, Weaver VM, Cadorette M, Guthrie-Pucket LS, Schwartz BS, Wiggs LD, Jankowski MD, Breysse PN (2003). Summary of historical beryllium use and airborne concentration levels at Los Alamos National Laboratory. Applied Occup. Env. Hyg., 18(9):708-715. Patrick N. Breysse, Virginia Weaver, Maureen Cadorette, Laurie Wiggs, Barbara Curbow, Aleksandr Stefaniak, Jim Melius, Lee Newman, Hugh Smith, Brian Schwartz (2002). Development of a medical examination program for former workers at a Department of Energy national laboratory. American Journal of Industrial Medicine, 42 (5):443-454. Sithisarankul, P., Cadorette, M., Davoli, C., Serwint, J., Chisholm, J., Strickland, P. (1999) Plasma 5-aminolevulinic acid: a potential biomarker for effect of inorganic lead in children. Environmental Research, 80: 41-49. Fitzgerald, S., Dienemann, J. Cadorette, M. (1998). Domestic violence in the workplace. AAOHN Journal, 46 (7): 345-355. Cadorette, M, Agnew, J. (2017) Mental Health in the workplace. Workplace Health and Safety, published online 7/13/2017: DOI: 10.1177/2165079917716188. Lindsley, M, Cadorette, M (2015). Preventing heat related illness in the workplace. Workplace Health and Safety, 63(4):192.